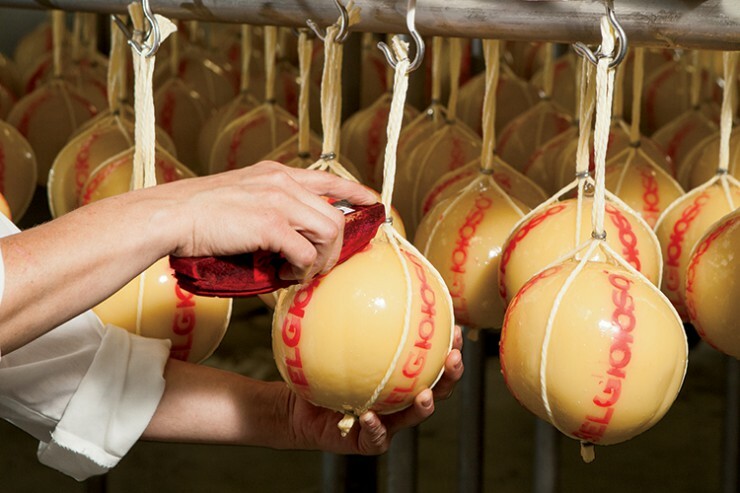 Provolone cheese is hand waxed and stamped at the Belgioioso factory in Green Bay. Wisconsin has long been known for its outstanding cheese and butter, but it all starts with the high-quality milk produced by the state’s dairy farmers. Wisconsin is also known as an ideal place to live the American dairy dream. Errico Auricchio’s family moved to America from Italy in 1979 to start their own company, BelGioioso Cheese Inc., in Green Bay. Over the last three-and-a-half decades, BelGioioso has become an award-winning cheese company, setting a standard of excellence in the dairy industry. Some of BelGioioso’s top selling cheeses include provolone, fresh mozzarella (such as Burrata), Parmesan and American Grana, and mascarpone. Auricchio credits the company’s success to the quality of Wisconsin’s milk supply. “The quality of our milk supply produces quality cheeses with consistent flavors and textures,” he says. The milk going into BelGioioso cheeses must be as fresh as possible, he says. About 99 percent of the company’s milk supply is at the plants in less than 24 hours after it was in the cows. Approximately 200 dairy farms within 40 miles of the receiving plant provide the milk. BelGioioso was the first company in the United States to start producing mascarpone. Consumers can find BelGioioso cheeses in the specialty cheese section of the deli in many major retailers and markets. Workers hand wrap and heat seal cheese at the BelGioioso cheese factory. At the Ellsworth Cooperative Creamery, squeaky cheese curds are the center of attention. Formed by a group of dairy farmers in 1910, the Ellsworth Cooperative Creamery began by making butter, adding cheese in 1966 and packaged curds in 1968. Today, Ellsworth is known as the Cheese Curd Capital of Wisconsin, and Ellsworth cheese curds are sold in grocery stores across the nation. 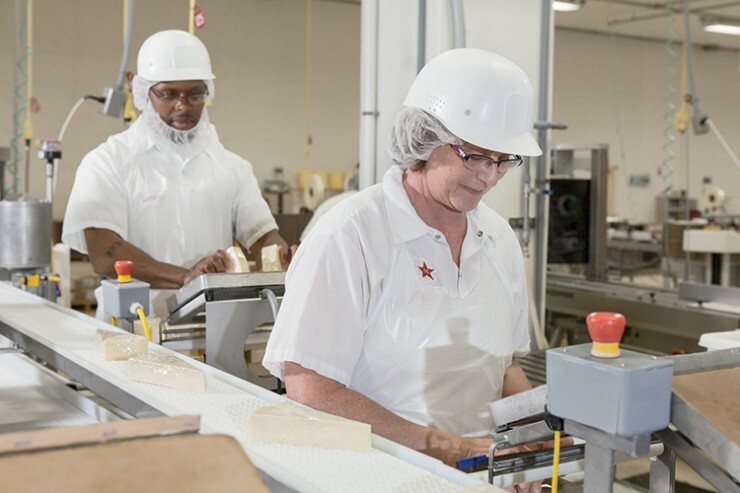 The Ellsworth plant and its second location in Comstock produce 160,000 pounds of cheese curds every day. Both plants operate 24 hours a day, seven days a week, to keep up with consistent milk deliveries from 450 dairy farms. Wisconsin is the nation’s second largest producer of butter, and Grassland Dairy Products Inc., in Greenwood makes the most of it. The family-owned creamery is operated by fourth-generation butter makers, Tayt and Trevor Wuethrich, and produces about 25 percent of the butter made in the United States, including more than 100 retail labels. The Wuethrich family immigrated to Wisconsin from the Switzerland Alps in 1893. Grassland Dairy’s saled butter took first place in the butter competition of the 2014 World Championship Cheese Contest. While remaining true to its heritage, Grassland has managed to keep up with changing consumer demands, creating butter-based alternatives for sophisticated palates, such as olive oil butter blends, high-protein butters and functional, spreadable butters. “We utilize every component of milk to make products that isolate protein, fat, lactose and minerals to fulfill customers’ orders,” Wuethrich says. 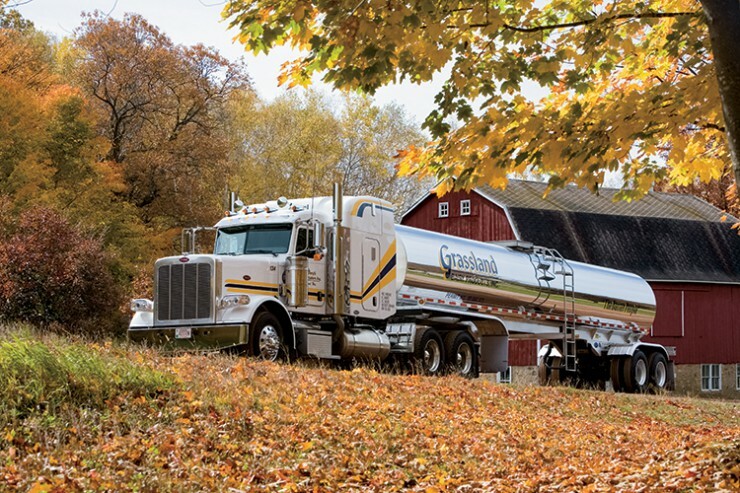 A milk tanker picks up milk from a Wisconsin dairy farm. 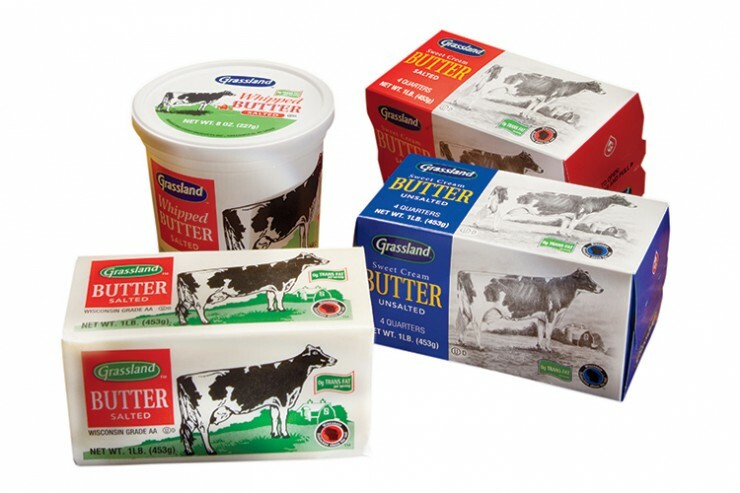 Grassland Dairy produces about 25 percent of the butter made in the United States. Wisconsin maple syrup producers turn tree sap into nature’s perfect sweetener. Did You Know Mint is a Staple in Wisconsin’s Ag Industry?